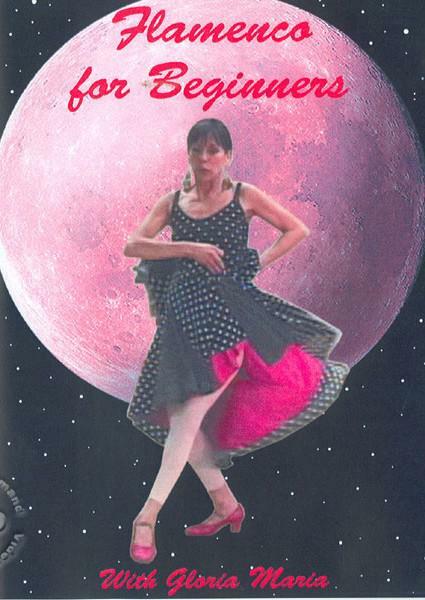 Highly trained and acclaimed Flamenco dancer and teacher, Gloria Maria, is your instructor. She studied at: the Academia de Baile Flamenco de Manuel Betanzos in Sevilla, Andalucia, Spain; the National Flamenco Institute in Albuquerque, New Mexico; and for years under the guidance of world class Flamenco guitarist, Juan Serrano. If you listen and follow her helpful advice, you will lean how to do colorful, basic, beginning and technical moves that comprise the Flamenco dance. Gloria Maria's Flamenco instruction is followed by footage of her graceful performance accompanied by Palmista Rosalina, itself a treat for dance lovers and students of the dance.